Best Smart Bands Under Rs 3000 : It is a well-known fact that people these days are leading stressful lives and also neglecting their both physical and mental health. We totally get it that you are stressed out about your personal and professional lives but it is equally important to focus on your health and daily activities for a great future. And when we talk about managing time and keeping a count on your calories as what are consuming and how many calories are you burning in a day, then these Smart Bands come into the picture. We say, now you don’t have to bother about the fitness issues and just grab a smart band to keep an eye on your calorie count. In other words, these are nothing but wearable technical bands that keep a count of calories you burn every day while working. We say, getting a smart band is always a smart choice for sure. The Xiaomi Mi Bands are one of the best selling smart bands in the market. The technical devices of the Xiaomi managed to bag a good position in the Indian markets with their incredible services for affordable prices. You can buy this smart band and enjoy its superior quality features. 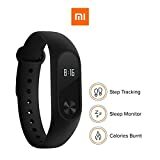 This Xiaomi band will help you to stay fit as it keeps a track of your daily activities including walking distance, calories burned. Another valuable addition of these bands is that they track your sleep quality and also notifies you of incoming calls. This product boasts a 30 – day battery life. The GOQii Life Fitness comes with more than expectations. The smart band is a health tracker and gives a 3 month access to a personal trainer and also certified doctor. You can grab this band and its offers for Rs 1,299 & 3799. The Difference is you will have 3 months Personal Coaching for rs 1,299 & 12 Month Person Coaching for rs 3,799. If you don’t want Personal coaching you can go with Rs 1,299 Product. You can Cancel / renewal the subscription any time. The access to a personal trainer and certified doctor are the highlights of the product. Like other bands, it keeps an eye on your fitness too. Also, it doesn’t require a separate USB cable for charging as it comes with an integrated charger. 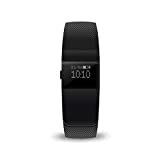 The band boasts a great display with time, floor count, calorie burn count and step count. The band comes with a silent alarm feature and OLED display. The fitness device has magnetic pins that charge the band when connected to the charger. 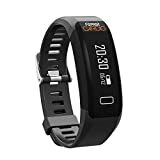 Here comes the HealthSense PD – 102 Smart 3D Pedometer Watch with best possible features and also it is one of the most affordable bands in the market. This preferred band is designed with extreme care and fits your choices. You can buy this band for Rs 1,699. This band tracks all your physical activities and gives you the count too. The product analyses the activities and calculates the distance walked and calories burned. It comes with a one year manufacturer warranty against defects. The band comes with a crystal clear display and boasts accurate tracking. Another highlight of the band is that you can choose between run or walk mode for accurate results. The band of EnerZ Gofit Pulse 3D Fitness also gives an alert to the incoming calls and gives notification to the messages, Facebook and WhatsApp notifications. Interestingly, the band boasts a sedentary alert when it notices inactivity and also prompts you to move from your position. The health band of the Intex FitRist is one of the much used smart bands and it comes under Rs 1000. This is another reason why people prefer buying this product. Also, it offers good features. The band comes with a rubber like finish and is very comfortable to wear for many hours. The display will be on the band and there will be a single button on the side of the display. This button helps you to switch between the date, time, steps take, calories burned, distance covered, camera control and music control. The user of this band can control music playback and also trigger the shutter of the phone camera. The smart band boasts an impressive battery life. On a single charge, you can use the band for almost one week. Processor chipset- NRF51822. Built-in heart rate monitor get 24/7 heart rate information on your wrist,6 months warranty . Notification: Calling, WhatsApp, SMS, Facebook Messenger/ Camera and MP3 Control.